Sheilacakes: Holiday Celebrations Large Gift Basket from Bea's Gift Baskets and Gifts Review! Holiday Celebrations Large Gift Basket from Bea's Gift Baskets and Gifts Review! I have yet another wonderful gift basket from Bea’s Gift Baskets and Gifts. Bea’s Gift Baskets and Gifts is an online store that sells amazing gift baskets. 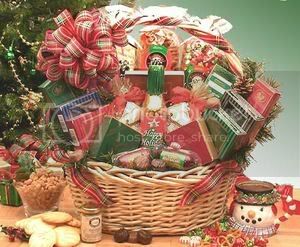 I have always loved gift baskets especially at Christmas time. I always liked to look at them at the stores. They don’t hold a candle to the great gift baskets at Bea’s Gift baskets. 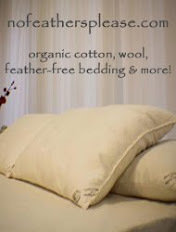 They are the perfect holiday gift with tons to choose from you can get something for everyone. They also have great corporate gift baskets too for those of you that have employees to shop for. They even have discounts for corporate orders. You will amaze your loved ones or your employees or clients with these gift baskets. The staff are so helpful and the customer service is really the best. They are so caring and prompt. They will put a smile on even Scrooge’s face. This time I got the Holiday Celebrations Large Gift Basket. It was full of all kinds of goodies. It has everything from Veggie Spread to Salami and Summer Sausage to candies and chocolate. There is even some Wolfgang Puck Coffee! This gift basket is a plethora of delicious treats. I was once again very impressed with the gift basket I received. I knew that the gift basket was going to be great but I was still very impressed at the size of the basket and the goodies in the basket. Noah’s eyes were huge when he saw the basket. He was telling me about all the candy in the basket. There was some decorative Holly in the basket and Noah calls them Holly balls. I told them that they are Holly Berries. The presentation was absolutely perfect. Everything was artistically placed. You can tell they put time and care in to putting them together. He wanted to dig right in to the basket and consume everything. We both love sweets and snacks. It must have been because I ate a lot of sweets and snacks when I was pregnant with him. I am so happy to have the opportunity to receive another gift basket. My sister and Mike came over for Thanksgiving. I showed them my new gift basket and I thought Mike was going to fall over from all the goodies I showed them. They really liked the gift basket too. I kept an eye on the basket in case my sister decided to help her self. Thankfully she didn’t. I did share some Cheese Straws with her and Mike. They are so good. The quality is excellent. Everything is gourmet and fresh and delicious. I can’t wait to dig in some more and enjoy some more treats from Bea’s Gift Baskets and Gifts. SHIPPING on orders over $50 in order to help with the economy. The free shipping offer is only good in the US. Thank you so much to Bea’s Gift Baskets and Gifts for sending me a complimentary Holiday Celebrations Gift Basketfor my review. Wowee that gift basket sounds amazing! I always like gift baskets because they allow for a huge variety of items!